This is a post for the trendy jet-setters among you. Now that the Vespa riding season has closed, it's open season on Christmas shopping. Ogilvy's has a Vespa LX50, skinned in the store's iconic tartan, front and centre in one of its Ste-Catherine street windows. Ogilvy's windows, and particularly its Christmas displays, make even the grinchiest scrooge want to shop till he drops. As you can see, the bike is laden with undoubtedly expensive chi-chi gifts suitable for the most discerning trophy wife or trophy husband. This baby makes its appearance every few years or so in the holiday windows at Ogilvy's. By the look of this bike it spends its substantial idle time between appearances safely stored in the store's prop department, because it bears not a single sign of wear or tear. It's a fitting tribute to Vespas everywhere. Vespas are perhaps, just perhaps, the bikes that best evoke that free-spirited, carefree, upscale, totally cool, yet eco-friendly urban lifestyle that the store feels will lure the fancy-pants crowd to spend, and spend. For those who have the means to make a trip to Montreal just to do their money-is-no-object holiday shopping, the two city blocks between Sherbrooke to the north, Ste-Catherine to the south, Mountain to the east, and Crescent to the west, are home to the toniest, most exclusive, and most expensive shopping Montreal has to offer. Ogilvy's anchors the south-east corner. The flagship Apple store is two doors west. Holt Renfrew anchors the entire north end on Sherbrooke street. In between you will find boutiques offering the nec plus ultra for Christmas, from Cartier, to Louis Vuiton, to Rolex, to Louboutin, to Jimmy Choo, and beyond. Sadly, there are no Vespas for sale there, notwithstanding the promise Ogilvy's vitrine seems to make. I suggest you book a suite at the Ritz Carlton right now. While you<re at it, better make some reservations at Maison Boulud in the hotel, because that place will be hopping with hungry and wealthy holiday shoppers. Snooze and you lose. It may already be too late. The gold diggers among you who aspire to become trophy wives should be able to find a suitable perch at Chef Daniel Boulud's bar where you'll be able to angle for a suitably wealthy sugar daddy. I can almost hear the sleigh bells. hope your sniffles are going .....like the vespa all tartan dressed...there a great advertising tool aren't they! Last year our local traditional department store (been running from the 1800'S had a wonderful xmas display , Fiat 500 (1960'S) and a Lambretta again 60'S both in baby blue and gleaming , i really like the use of past machines in advertising . Still got the sniffles, but it's tolerable, definitely a lady's cold. I would love to have seen that Christmas display. A Cinquecento and a Lammy are fine companions. I'm not sure but I might have been underground under those shopping areas on my tour last August. Can't say as all those corridors looked the same. At least there was no temptation to spend. Long time since I shopped in Montreal. Maybe it's time for another visit. Love the tartan on the Vespa. Now that is a custom paint job I can get behind. Shopping I can do without. Except groceries, those are a necessity. Otherwise I really dislike shopping. I know, I am a woman and I hate shopping. Go figure. David, you'll receive no argument from me regarding your "fitting tribute to Vespa's", no matter which marques I practice riding on. That is one fine example of the Italian machines. I love the tartan wrap on that! Montreal is relatively painless from Ottawa. It's entirely possible to do a one day in and out for little in the way of expense. So it's worth the hop skip and jump. Anywhere else is a commitment of time and money, and better spent on some place more exotic and desirable. I'm thinking Provence. Trobairitz, I like the way you think. The only thing is that I estimate that 80% of all malls and shopping districts now cater to women's fashion or things that are very closely related. If all our sisters start looking at shopping the way you do, the economy's in trouble. Thanks Coop. And I for one aspire to one day riding a Honda Helix. It is certainly iconic in its own way, with its George Jetson-esque good looks. Yup, it's a real head-turner when you see it in real life without all those meddling reflections. When I accumulate more blemishes on the Vespa, I'll look into the practicality of a vinyl wrap. It opens a whole world of options. The copyright in all text and photographs, except as noted, belongs to David Masse. 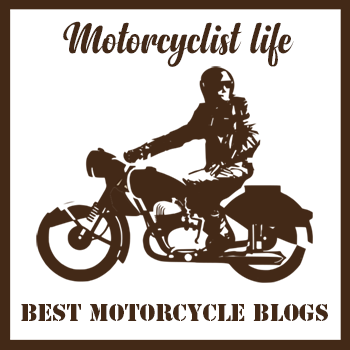 I am David Masse, and this is Life on two wheels. Life on two wheels began as a way to explore my decision to commute to my job in downtown Montreal from my home in the suburbs on a Vespa motor scooter, and the byline for my journal was the Scoot Commute. Today I live in Toronto, I've expanded the scope of topics I cover here, and I've added a YouTube channel as well. Over time my life on two wheels became much more than a scooter commuting story. My Vespa and my web and video journals became a gateway to wonderful new experiences, remarkable adventures, and enduring friendships. The links at the top of the page make it easier for you access the information in this journal in a more useful way, organized by topic, as well as a link to the YouTube video journals. If I've helped you, and if I've entertained you along the way, then I've done what I set out to do. Please feel free to post comments, I love to hear from readers and viewers, so don't be shy. I even do requests, and will do my best to dig up information to help readers out. I've also hosted guest posts, most recently an excellent post by Jim Mandle that came out of an e-mail exchange. It's all good fun, a multifaceted web and YouTube journal where I publish articles with useful insights for enjoying life, embracing the present, stepping out, living, seeing, writing, being, and the occasional rant. 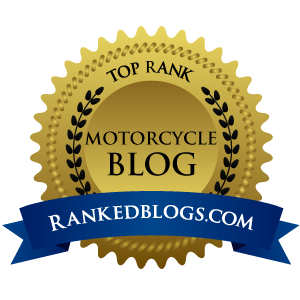 Most recently I learned that Life on two wheels made it well into the top 100 motorcycle blogs in the world. Wow! I have my readers to thank! Conchscooter penned a concise little history of manual shift vintage Vespas as the adventure bike of choice. You can read that by visiting this link. Princess Scooterpie A Motorcycle Diva who likes to moto wander & write about it. Converting to NEW BLOG SITE!!! The official 2014 Scooter Cannonball page: click here. The ModernVespa official 2014 Cannonball Thread: click here. Ken Wilson (Lostboater)'s blog: click here. Bill Leuthold's blog: click here. Cheryl Wise's blog: click here. Eric Almendral's blog: click here. The official 2012 Scooter Cannonball page: click here. ModernVespa.com Cannonball Project Thread: click here. ModernVespa.com Cannonball Thread: click here. Classic Rider's blog: click here. The Dandee's blog: click here. Godzilla Bobber's blog: click here. Trailer for the 2010 Cannonball documentary: click here. The official 2010 Scooter Cannonball page: click here. 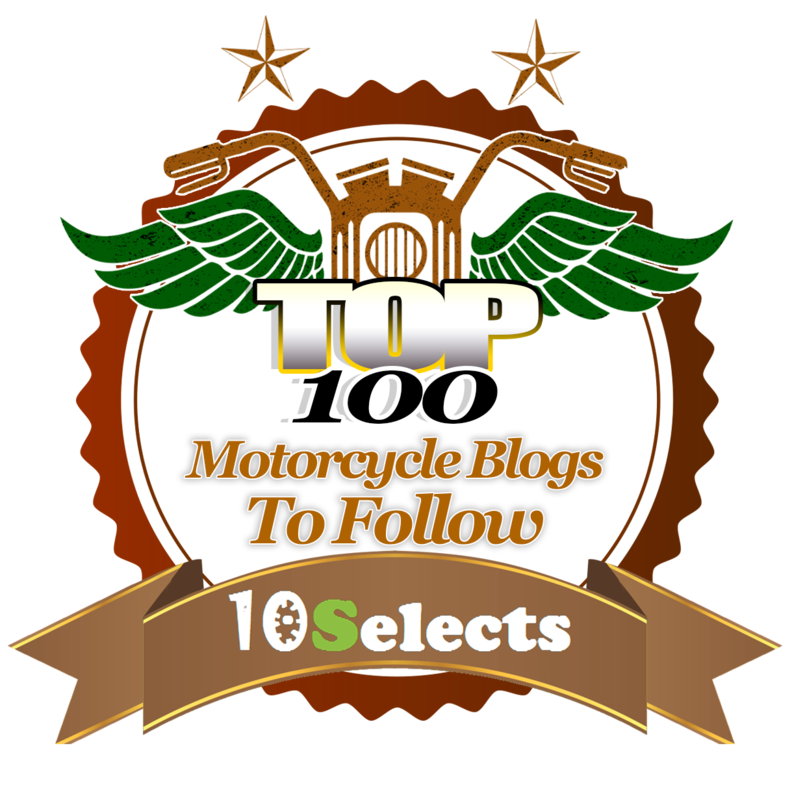 Follow the Cannonballers' progress on Modern Vespa: click here. Brian's Scooter Cannonball blog: click here. Pistol Pete's blog: click here. ScooterME's IPhone tracker: click here. Cynthia Wetzel's blog: click here. The Oz Cannonball blog: click here. Karen S's blog: click here.